Xiaomi is a brand that is known, considerably, for its budget products. In recent memory, Xiaomi has made a lot of money in India selling its cheap but quality products. Among the many products that Xiaomi sold was the Redmi Note smartphone, which was announced back in 2014. Why Sell Your Old Redmi Note On Cashify? Launched at a price of Rs 13,000 in India, the Note was one of the first Xiaomi devices to feature a 5.5-inch display. None of its previous products had that big of a screen. 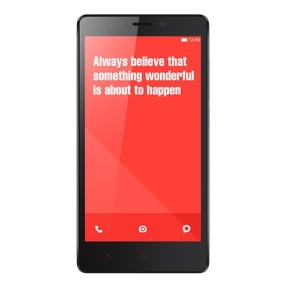 Also, it would seem that the Redmi Note was the first high-end budget smartphone that Xiaomi launched in India. At the time the Redmi Note was quite a powerful device for its price. It had an octa-core processor which was not available on most devices at that time. It also featured a good 13 MP back camera and a 5 MP front camera that delivered decent output. However, the phone does not really conform to the design trends of 2018 anymore, and even though the device has been out for only 4 years, there has been a drastic change in the design language of smartphones. Now, the phone currently is selling for a price of Rs 8,999. However, the market currently has much much better devices for a similar price point, making it an unlikely buy. Which is why selling your old Redmi Note phone may be prudent since it’s likely to fade into obsolescence even more with time. Head over to Cashify for this, since it will get you the best price for your Redmi Note. Cashify is the ideal portal to sell your old Redmi Note device and not worry about getting ripped off. The basis of this is the simple fact that Cashify has an exclusive partnership with brands such as Xiaomi, Apple, OnePlus and Samsung. You’re assured of a fair price without any of the hassles typically associated with a selling old phones - such as haggling, going to multiple buyers and more. Selling on Cashify is a fairly easy job. Just head over to the Cashify’s website and select the mobile phone category. Answer a few questions about your second hand Redmi Note smartphone such as the condition of the smartphone, warranty period etc. Cashify officials will come directly to your home to inspect the device and hand you cash right there.